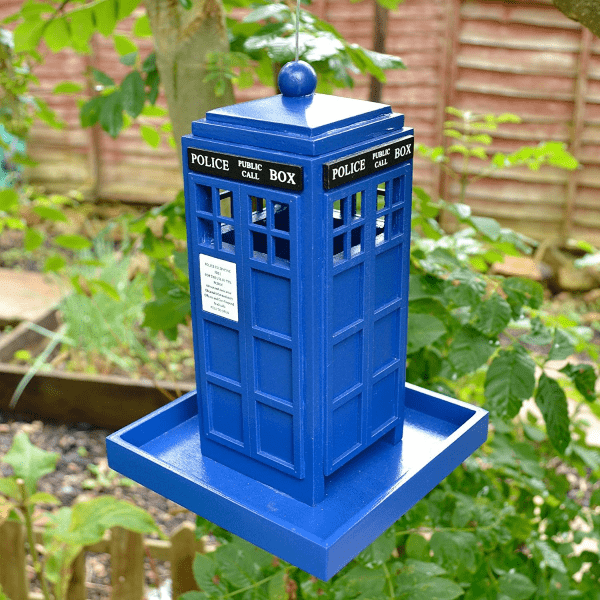 Get this functional Garden Bird feeder in the shape of an old Police Box. 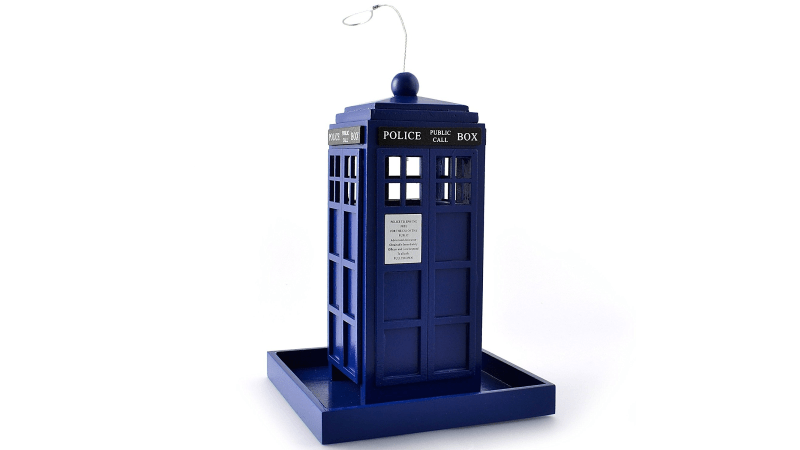 These Police boxes are simple and easy to use and also make a great gift! This iconic Police Telephone Box has been transformed into an amazing Bird Feeder! These Police Boxes used to be situated in high profile areas for use by members of the public to contact the police and by Police Officers. The Police Box is made of ply-board and water based non-toxic paint. The feeder will hold approximately two pounds of bird seed. Access is made simple by just sliding the roof off and placing the seed inside. Birds are able to get to the seed as it spills onto the bottom of the tray which had ample drainage. This makes a great present for any garden enthusiast or police officer, police staff bird watcher! If you know someone leaving the police or need a leaving present then this would make the ideal police gift.